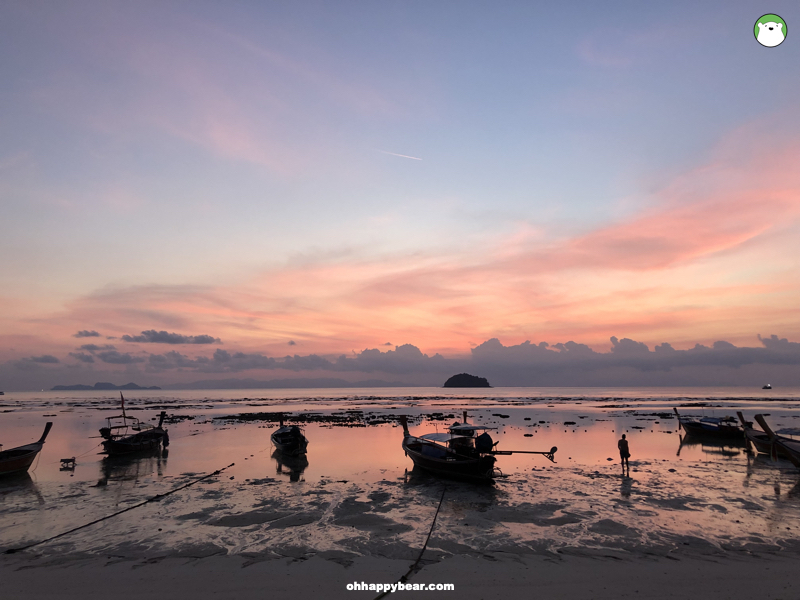 Above: A glowing pink sunrise at our last morning on Lipe Island in Satun, Thailand. 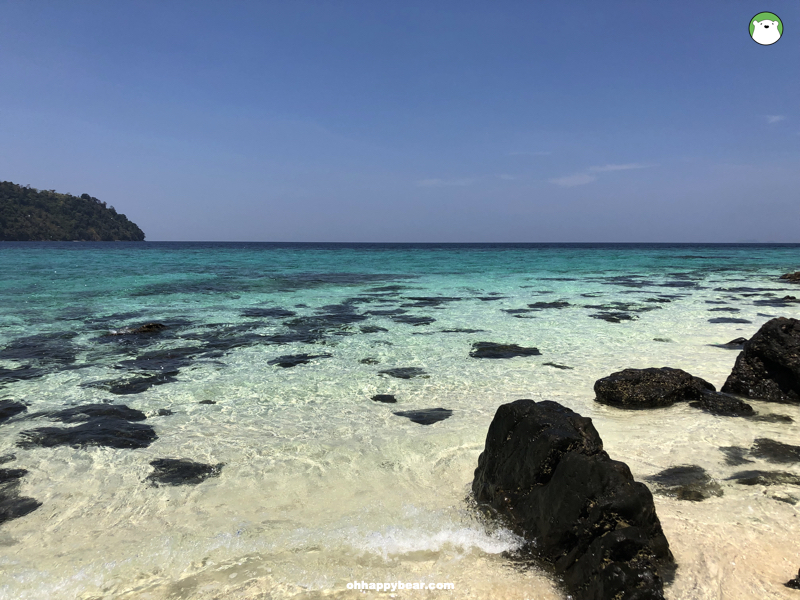 Khow this – Koh Lipe – the furthermost southern island off Satun province in Thailand, that has always been touted as one of the world’s real-life living paradise, is not a serene nor quiet place to find a quiet bliss. It is still (very) beautiful in my eyes, but for those lucky enough to have been there prior, the condition then, compared to now, must be totally different. The island now (we were there early March 2019) is super crowded with beachfront resorts that some (like the one we stayed) are even more unfortunate to have ended up sharing the tight space with the loud, inconsiderate bar(s) next door. Above: The marine area map provided by a speed boat operator at Pak Bara pier in Satun. 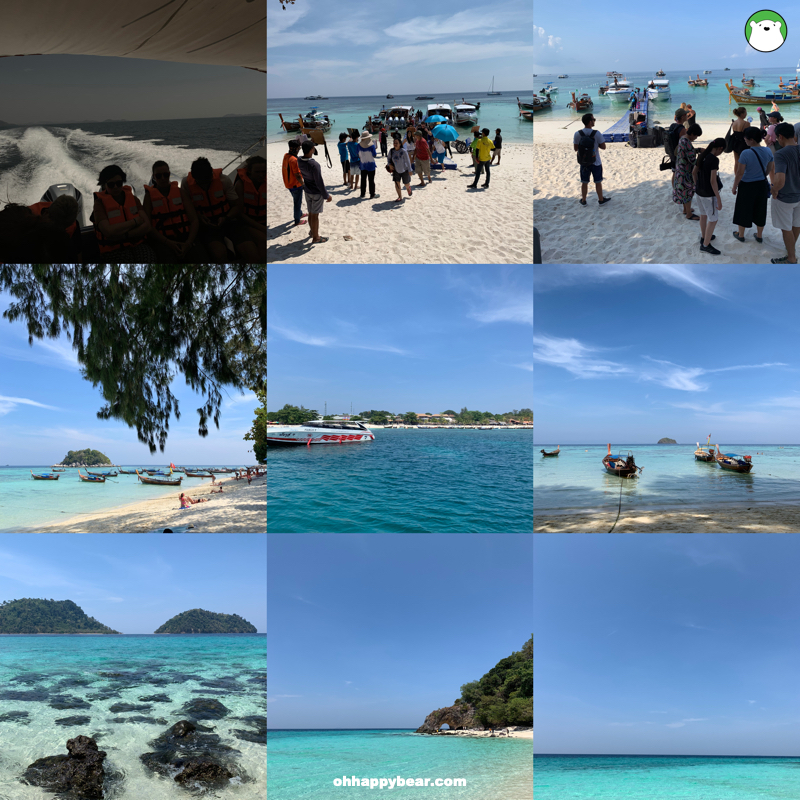 We had a three-night ‘castaway’ island trip earlier in March (2019). Our plan was to spend half our time sun-tanning and doing nothing on the island and another half eating our way through Hat Yai. 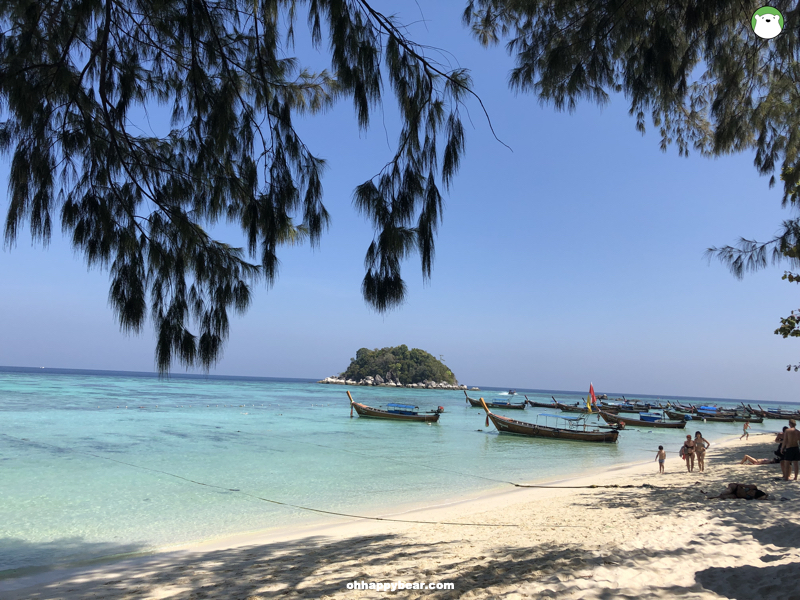 Koh Lipe has always been our dream island, but now that we had been there, I think it would be a somehow useful to share what we had actually found. 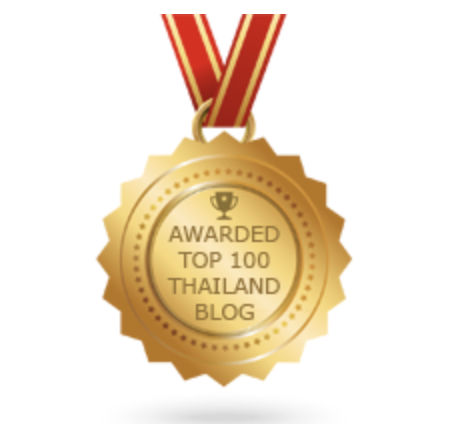 First things first: How to get there – From Bangkok, if you want to catch the earlier speedboats (earlier than the last 15.30 round), it means the earliest possible flight to Hat Yai (ours departed from Suvarnabhumi Airport) before 7 am, to make sure to reach Hat Yai around 8 am or earlier. From Hat Yai, we took a joint van to Pak Bara Pier – the main pier for many of the islands of the Thai deep south and Malaysia. The van takes about 8-10 passengers and about 1.30-2 hours to reach the pier. At Pak Bara Pier, it is now a waiting game. We were there before 11 am, but our boat was scheduled for the 13.30 round. So we had lunch at the next door restaurant which turned out to be quite nice. Above: The first stop on the speed boat – Koh Tarutao. So glad we were the first boat arriving. After this shot, a swarm of boatload tourists arrived. Morning boats make two stops – a bonus for sun-seeking island hoppers – on the way to Koh Lipe. 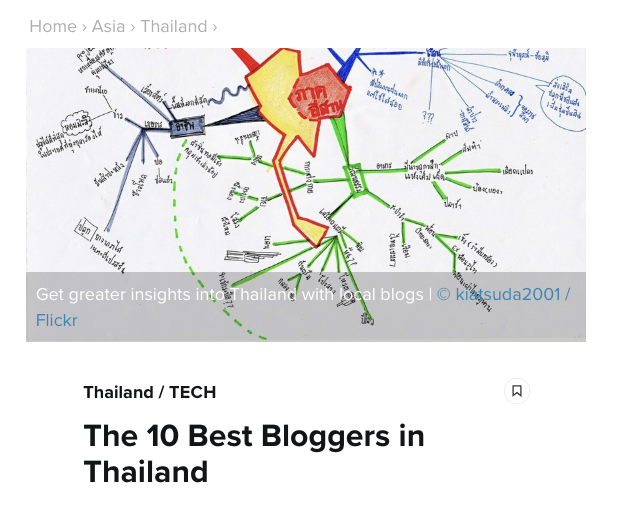 The first is a 20-min stop at Koh Tarutao, another is a 20-min at Koh Kai. Koh Tarutao is the largest island of the Tarutao National Park. The name ‘Tarutao’ derived from a Malay word, and this island – located in the Straits of Malacca – is merely 4.8 clicks from Malaysia. For those who like it serene and quiet, you might want to check out the National Park’s accommodation on the island via the reservation page of the National Park office. 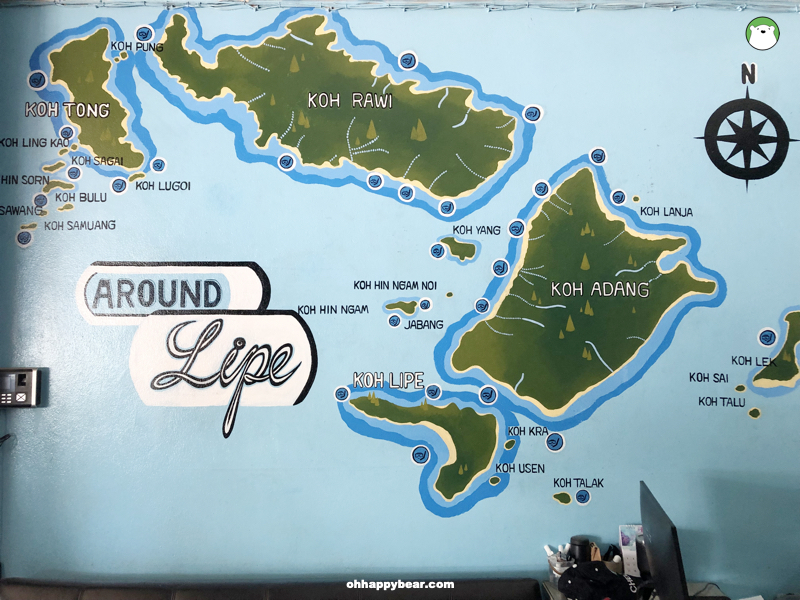 Above: The second stop on the speed boat – Koh Kai. The sun was definitely blazing at midday. The heat, plus the heat from the bodies tightly crammed on the boat, each accentuated by the thick insulation of the life jacket, was brutal. 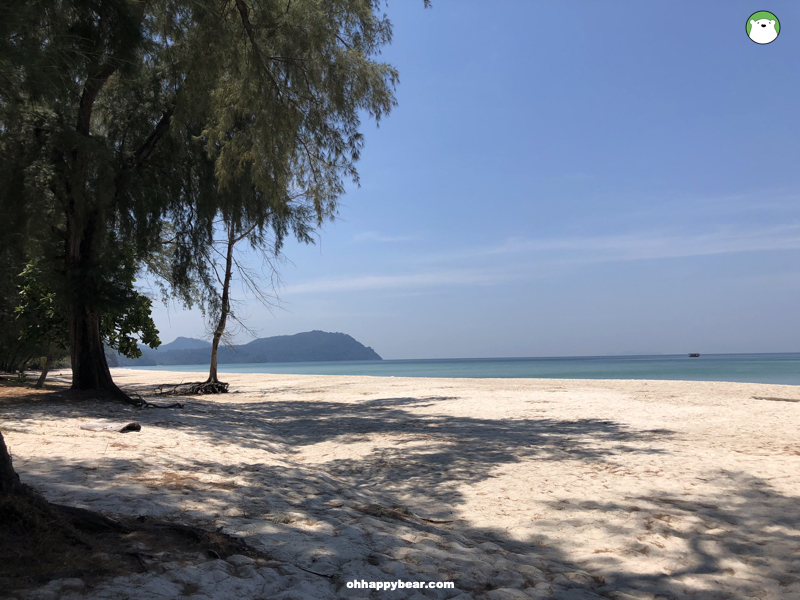 I was having a mini migraine when we made the stop at this gorgeous gorgeous Koh Kai. This small, uninhabited island has one highlight – the stone arch that stretches into the sea which was said to have the power over love. Couples passing through that arch will end up being together forever. Anyhow, make sure you run fast enough to be the firsts there before the crowds. Above: Supposed to be a quiet getaway if not for the nightly loud pub next door. Eventually, around 3 pm, we got to Lipe. Our resort of choice was Castaway Resort on Sunrise beach which is on the opposite side of the boat-mooring beach of Pattaya. We needed to get ourselves to the resort via the island’s ‘taxi’ which is simply motorbike and a sidecar. There’s a fixed price at Bt50 per person. We booked for a large sea view bungalow. The reason for this place, and not other modern, air-conditioned places on the island, was because we thought it would be a great ‘castaway’ experience. As you can see, it should be all good, despite the lack of air-conditioning and everything 5-star. Sometimes a barebone experience would be nice, we thought. But then, upon checking in, the loud, thumping music floated in the air from a nearby source. It was 3 pm then, and the music was continued nonstop throughout the evening until the night when it got even louder. The place was quiet around midnight. We then realized that this resort was not a castaway after all. This is an ill-fated resort that happened to end up having a very inconsiderate next door neighbour who operates an open-air boom box beach front night club. Above: The Sunrise beach of Lipe, crowded, but still less people than the Sunrise side. But if I thought the first two nights were torturous, I hadn’t had planned for our maddening last night which was March 6. 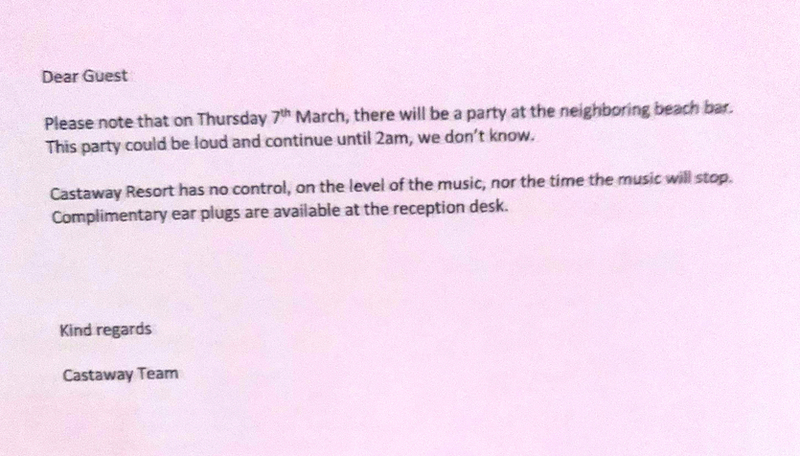 Below was the letter sent to guests by the resort that there would be a loud party on March 7. But it seemed the neighbour sent out the wrong memo or they just simply didn’t give a damn about anything, because on the night of March 6, one night before, there was very loud live music. LOUD and CLEAR. THUMPING. EVERYTHING. THANK YOU VERY MUCH. And I couldn’t sleep in the room, hence they moved me to the other room at the other end of the resort which happened to be next to whoever that were having themselves also a long raucous dinner until almost midnight. But I was simply too tired to do anything, I was just lying there listening to their party. I even didn’t think of giving the staff a call for I felt there was not much they could have done. 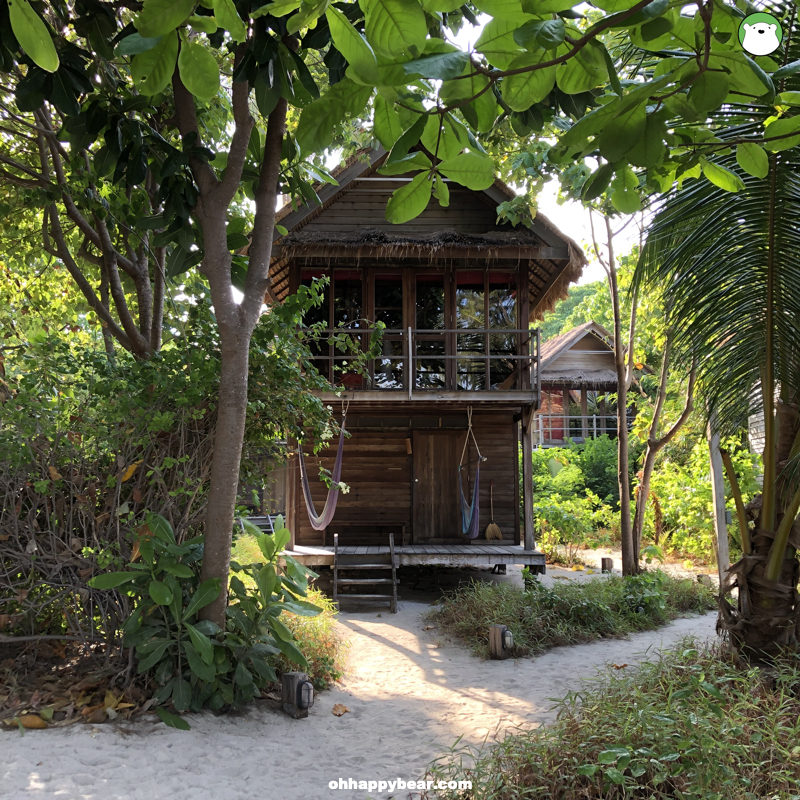 Am I wrong to expect Koh Lipe – crowded and all – to be serene and peaceful at least during the night time? Ambience music would be fine, but whose thick skull would have thought that an open bar with loud music can live next door to a resort where people come to wind down and seek a peaceful vacation? Anyhow, we were thankful at that least the resort was nice enough for other essential things. 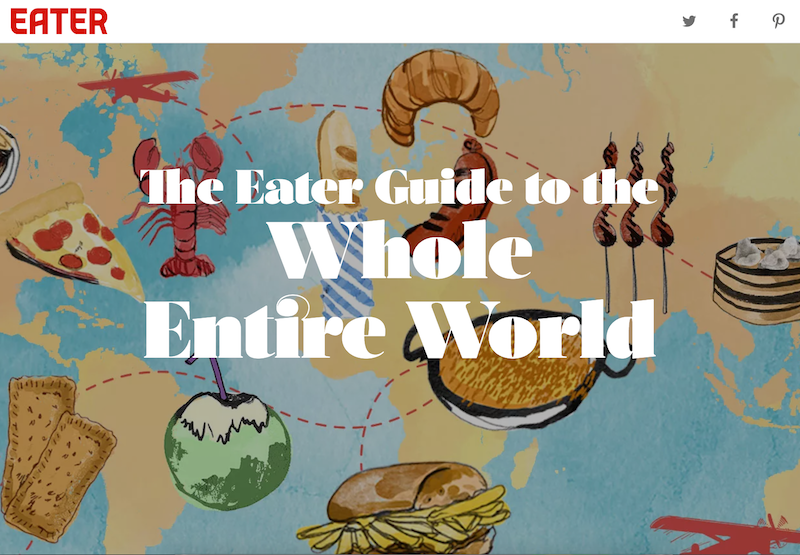 Like food and drink. Walking through the ‘walking street’ looking for food for two days, we ended up having lunch at the same restaurant both days. The overall visible cleanliness, the turnover of the guests made us feel it would be OK to eat there. We didn’t want to be sick on the island that is about 2 hours from the nearest port where ample medication is still too far away anyway. We saw loads of seafood on ice, fishes all red eyes, flies hovering over everything. 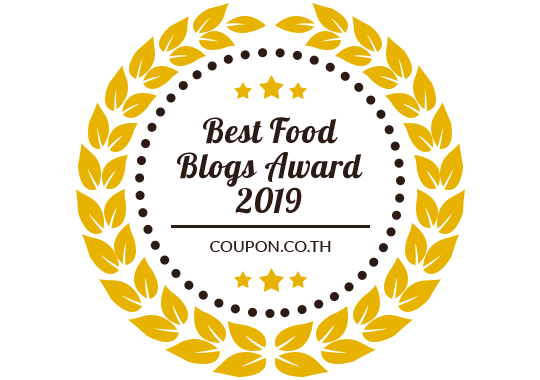 Of course, we ate chicken. 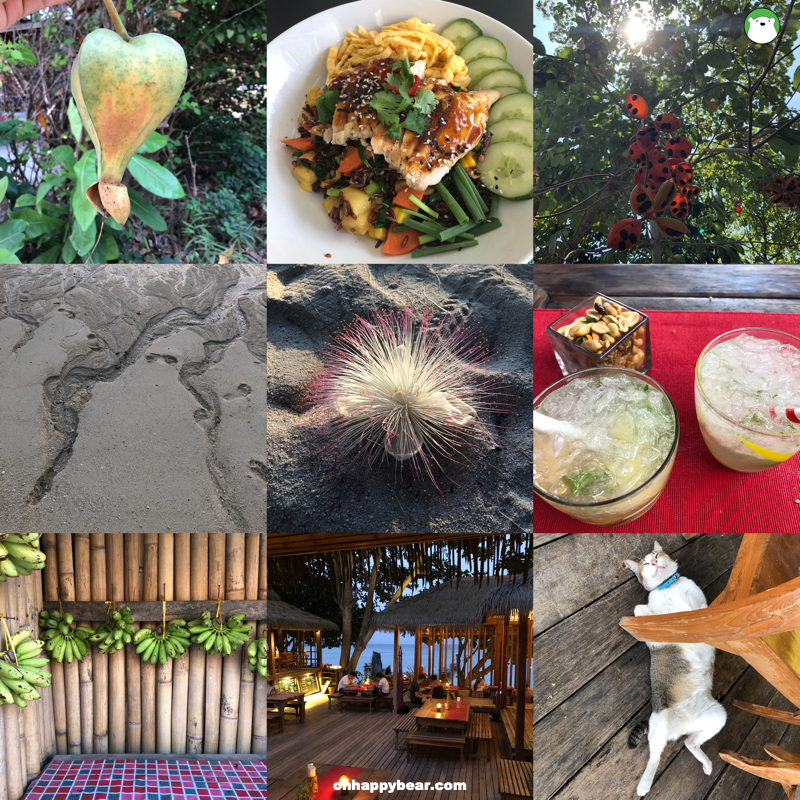 Above: Island snapshots – beautiful trees, our evening cocktails, the lazy cat and the food and the bananas.